Natural resources are the basis of livelihoods and economies of every nation in Asia. Given the rich cultural, social, political, and biophysical diversity across Asia, the professionals working in natural resources management need a strong working knowledge of several interrelated sciences. Through teaching, research and outreach activities, the NRM of SERD at AIT seek to develop professionals who can contribute to the conservation and sustainable management of terrestrial and coastal resources and ecosystems. We provide education and research opportunities leading to M.Sc. and Ph.D. degrees in NRM. The complex nature of NRM issues requires a broad range of skills and techniques ranging from the social to the physical sciences. The NRM field of study therefore specializes in areas as diverse as community-based natural resources management, forestation and forestry, integrated land management, biodiversity conservation, climate mitigation/adaptation, and the valuation of ecosystem services. NRM also provides training, outreach and capacity-building opportunities to a growing number of interested clients on many NRM related areas. 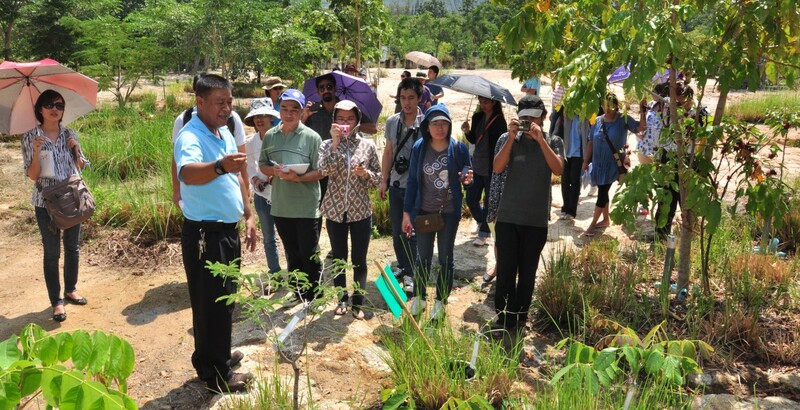 Besides providing training, we have assisted universities in Nepal, Indonesia, Laos PDR, Vietnam, Cambodia and other countries to develop their capacity to implement academic programs on environment and NRM. Graduates from the NRM work in several areas, including government service (e.g., forestry and/or environmental departments), non-government organizations, and academia. Many of the M.Sc. students also choose to pursue a Ph.D. degree either at AIT or in another institute elsewhere in the world.